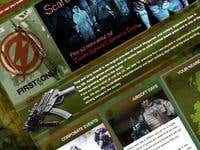 Brand new website created First and Only Airsoft, the largest provider of airsoft wargames and military experience days in the UK. View the website www.firstandonlyevents.co.uk. ADOmedia are a full service digital brand and marketing agency based in Cheshire, England.